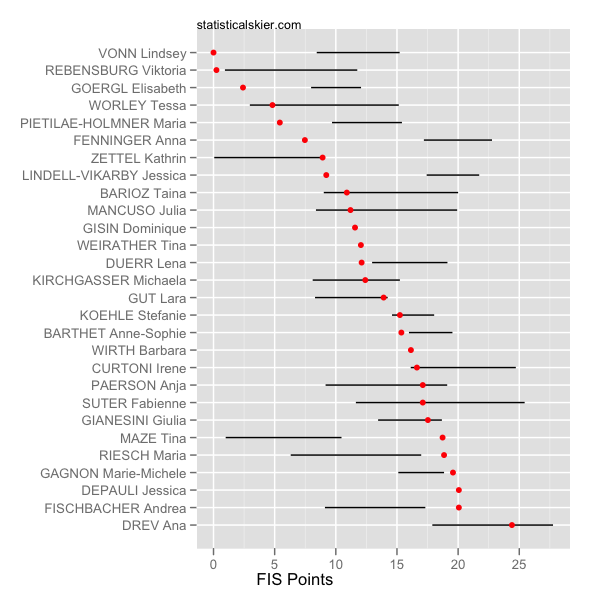 Statistical Skier : First World Cup Race Results! First World Cup Race Results! In alpine racing, that is! Fooled you, didn’t I? Like I said before, I’m not going to make a habit of posting about alpine racing, but since the season opener went fairly well for the US, I thought I might as well. So here are two race snapshot graphs, similar to those I’ve been making for cross country races, although a little less tricked out. The bars represent the middle 50% of that skier’s results over the past three seasons, in this event. (Giant slalom, in this case.) The red dot is their FIS points for the race this weekend. 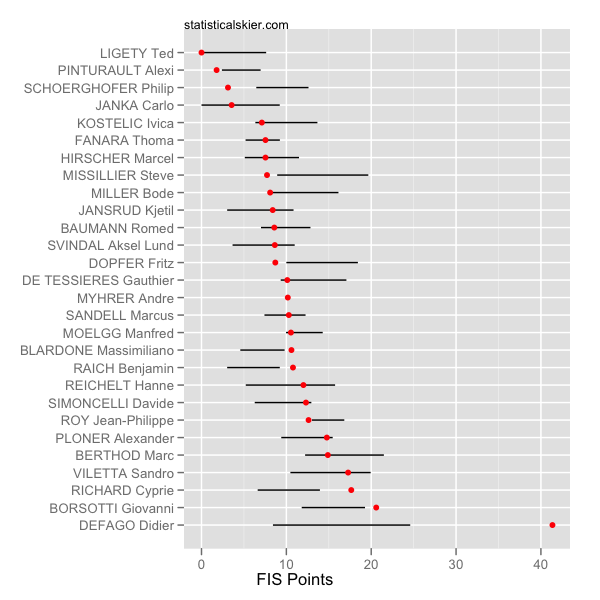 As always, the aim is to give a quick visual representation of who skied better or worse than usual. Posted by Joran on Monday, October 24, 2011, at 6:00 am. Filed under Alpine, Fun Stuff. Tagged alpine, World Cup. Follow any responses to this post with its comments RSS feed. You can post a comment or trackback from your blog.